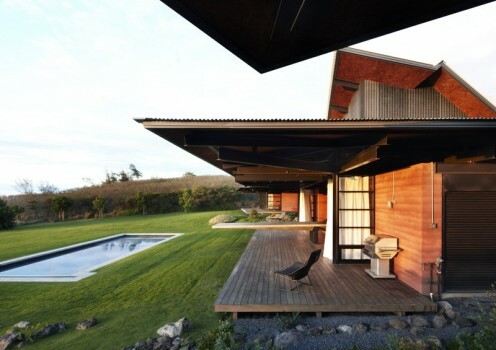 Located close to a well-known surfing spot, Slaughterhouse Beach House expands the concept of a traditional surfing hut with three connected huts – general living quarters, guest suites, and a main sleeping area. 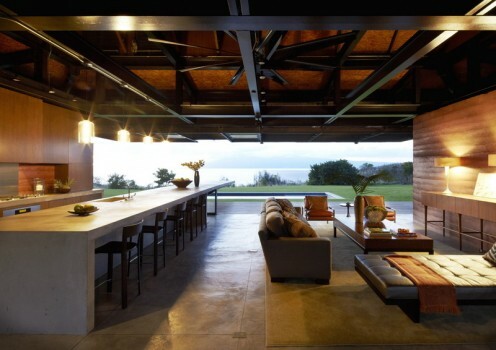 The structure’s walls are constructed from rammed earth. 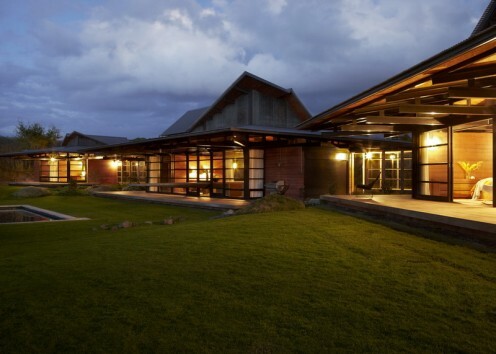 In this process, different local earth-based mixtures are packed together, and the resulting striated layers are visible both inside and outside the building. 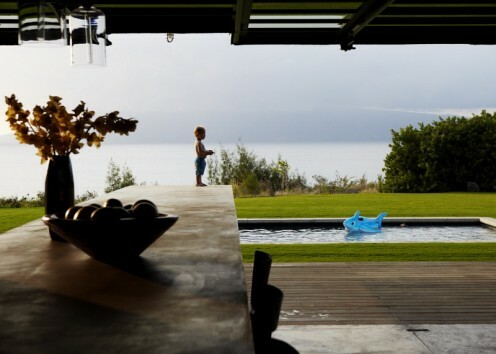 The walls blend in with the surroundings, are low maintenance, virtually fireproof, and a strong barrier to sound. 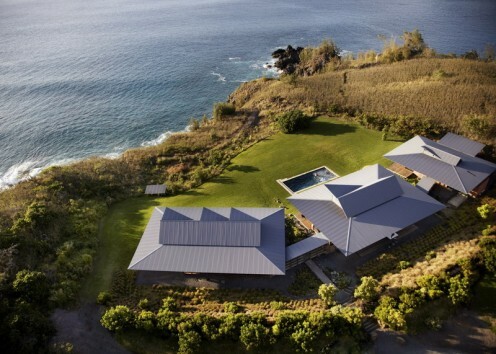 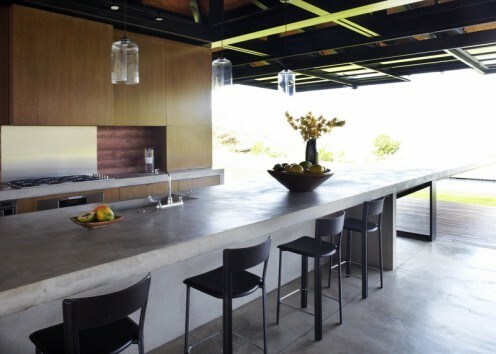 This home, finished in 2009, fuses Hawaiian tradition with some of the latest innovations in sustainable architecture. 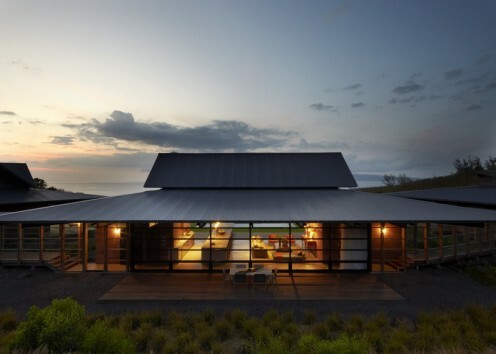 The house is situated high enough to provide spectacular views, but low enough to blend in with the landscape of pili grass and ironwood trees.